Suaye I. Banigo is a dynamic manager with extensive experience in managing technology implementations and business process re-engineering projects in the banking, insurance, telecoms and media industries. In 1998, Mr. Banigo obtained a Bachelors of Art in Economics and Japanese from Vassar College in New York State in the United States. Shortly thereafter, he moved to Tokyo, Japan to further his Japanese language skills while working as a language instructor. Next in 2000, Mr. Banigo joined MDRC, a New York City based non-profit social science research firm dedicated to improving the lives of people with low income. In his four years as a Communications and Web Development Specialist, he streamlined the publications delivery system for MDRC and migrated the website to a more flexible platform. From early 2004 to 2005, Mr. Banigo was the General Manager for IT, Strategy and International Expansion at Linkage Assurance PLC. 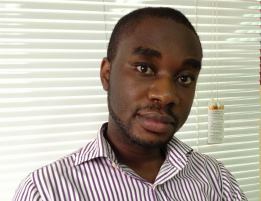 From the company’s headquarters in Lagos, Nigeria, he developed opportunities for expansion of the company throughout Africa and implemented several successful IT Initiatives. In the fall of 2005, Mr. Banigo joined the No. 1 worldwide ranked MBA program at IESE Business School in Barcelona, Spain. As part of his full-time, two-year general business administration program, he received a solid foundation in finance, economics, and operations among many other subjects. After graduating from IESE in 2007, Mr. Banigo joined Barclays Bank PLC in London, U.K. As part of the highly selective Operations Executive program, he oversaw business process re-engineering projects for Barclays in Dubai, Seychelles, Mauritius and Ghana. His final assignment was the launch of Barclays operations in Indonesia where he oversaw crucial operations, including debit card processing and statement printing. Vanessa Walters brings over 10 years of global experience developing communications and product management to her strategic role in planning and implementing sales and product development programs. She holds an LLB in UK Law and French Law from the Universities of University College London, UK and the Paris-Assas Panthèon du Droit in France. Her international experience encompasses financial services, customer care, quality control, media management and sales. In Paris, she worked for Société Générale and Thomson Reuters. In the UK, Financial Times among others. 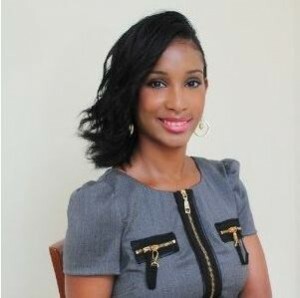 In Nigeria, she steered the Genevieve Magazine brand. As well as a strong background in relationship management, Mrs. Walters also brings her understanding of technology to bear in developing strategic digital solutions and continually enhancing the Kiote product range. 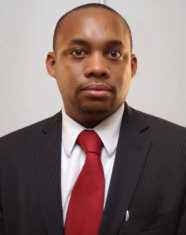 He obtained his Bachelor Degree from Babcock University in Computer Technology (2010) and is a Microsoft Certified Professional.From 2010 to 2013 He managed the IT infrastructure at Mediplan Healthcare Ltd (a Leading H.M.O.) handling maintenance of systems and network equipment and providing IT support. He also played a vital role in the Implementation of their HSP and Smarthealth (Health Management) Solutions.